The Green Lake County Libraries are sponsering a county-wide reading of Sara DeLuca's Wisconsin farm memoir The Crops Look Good: News from a Midwestern Family Farm. All Green Lake County Libraries (Berlin, Caestecker in Green Lake, Mill Pond in Kingston, Markesan, and Princeton) will be hosting book discussions and agricultural related programs. The culminating event will be a Q&A and book-signing with author Sara DeLuca on Saturday, October 6 at 2 pm at the Markesan Historical Barn (214 E. John St., Markesan). Music and refreshments will be provided. Space is limited, please pick up a ticket at one of the five libraries. The event is free. 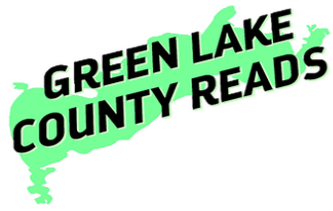 For a complete calendar of County Reads events at all libraries click here or visit the the Green Lake County Reads Facebook page.